When your Venus is in Pisces, you love tenderly and compassionately. You are a peacemaker at heart, and your sensors are so strong that you pick up as much as possible, and perhaps more, from your partner. You have a sense of humor in love, although you have your shares of ups and downs, as you are a very sensitive person. Harshness bothers you. Wistfulness is almost as natural to you as breathing when it comes to love. No matter how you approach other areas of your life, there is a romantic side of you. You crave making a connection with a person—many would call it a deep connection, but spiritual is a better word, as your ideal love rises above rather than plunges below the mundane world. You can be devastatingly attractive to some people, and your charm is of a tender and soft quality. Others sense your warmth, but also some elusiveness. As much as you want to connect and share with another person, you also resist being pinned down. You prefer to enjoy a certain amount of freedom to act on your feelings, rather than through schedules or impositions. Sometimes you attach yourself to people because you have a hard time saying “no”. However, you also have a hard time pretending for any length of time. Your exit from a relationship may not always be direct and quick. You are not always comfortable with being direct, simply because you don’t like hurting people’s feelings. You can sometimes seem like a chameleon in your relationships. People who share time with you, if they were to exchange notes about you, would likely have a very different impression of you. You can seem like a completely different person with different people—not because you have a weak character, by all means. Because you are an emotional sponge, you pick up the needs of those around you. Your adaptability comes from a lack of personal boundaries in matters of the heart. Pisces is the last sign of the zodiac, and it carries with it each and every sign. This explains, to a degree, your ability to slip into anyone’s shoes without so much as a blink. So, with Venus, the planet of love and relationship, in Pisces, it is easy for you to pick up the needs of your partner and even adopt those needs as your own. Where do your needs start and end? It can be hard for you to distinguish what it is that you want because you very spontaneously and naturally soak in the needs and wants of a partner. You have an amazing capacity to understand people and to forgive. Just as you resist being pinned down to an absolute, a schedule, or a concrete definition, you also have a hard time drawing boundaries. In the process, however, you open yourself up to challenging situations and relationships. It is difficult for you to pass judgment on anyone in an absolute sense, as you have compassion for human failings, but sometimes it is the only way to close yourself off from a bad situation. Don’t let others take advantage of your hospitality and empathy. Anyone who sees these traits as signs of weakness is likely preying on them! The right lover for you will recognize your kindness and your willingness to slip into someone’s shoes as signs of strength! When that special someone has touched your heart, they are rewarded with a funny, sometimes kooky, and always tender-hearted lover. The right person for you will find you absolutely delightful, intriguingly changeable, and a treasure indeed. (See Venus in Pisces for more details on the Venus in Pisces temperament). How You Relate to a Partner with Venus in Aries: The attraction can be intense at first, but your inherent differences in matters of the heart might get the better of your relationship in the long run. With understanding and patience, however, this partnership can be very rewarding. Your partner is more than likely the one to take the lead in this relationship. You can be somewhat shy and unsure with someone new, but very charming indeed. 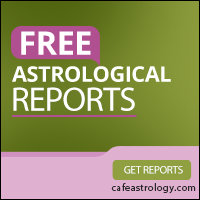 You possess a dreamy quality that can be very enticing to your Venus in Aries partner. But this very quality that hooks his or her interest in you in the first place, might get your partner impatient once the novelty fades away! Your elusiveness and downright evasiveness at times stand in stark contrast to your partner’s style of expressing love—so much so that it could seem completely alien to you both. Your lover is direct and forthright in love, and usually appreciates the same in others. You don’t come across in quite so clear terms, and this can confuse your partner. If the love is there, all that is needed is the understanding that you and your partner express love in distinctly different ways. As well, you enjoy understatement in romance, and your partner should understand and respect this quality. His or her bluntness may be appreciated by less sensitive souls, but you may sometimes be put off by a manner that seems far too brusque than necessary. In turn, you should learn to appreciate knowing exactly where you stand with your partner! It might bite sometimes, but it’s honest. You have much to offer each other once you get past the matter of differing love “styles”. How You Relate to a Partner with Venus in Taurus: Although you have your differences in the way you express love, this is a fertile and creative combination. Your partner is strong and dependable in relationships—perhaps exactly what you need, at least most of the time! You don’t always feel strong, simply because you are a sensitive soul who can be quite impressionable. 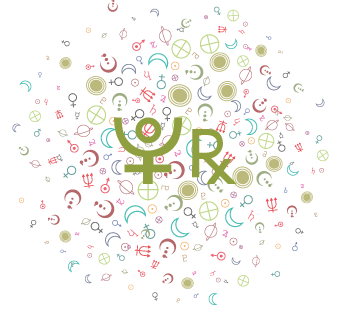 A solid and steady partner such as your Venus in Taurus lover will help ground you. You are certainly more changeable and flexible when it comes to relationships, and you may view your lover’s dependability as both positive and negative at different times, depending on your mood. Sometimes, you might find your lover too be a bit too set in his or her ways. Other times, you will appreciate the predictability and simplicity of your lover’s needs in partnership. You can lean on your partner when you feel the need, and that is comforting indeed. Both of you appreciate art, although your tastes can be quite different. Your partner might sometimes complain that you are indecisive or too changeable—moody, perhaps. But if he or she recognizes that your tenderness (something that your lover is sure to value) is an absolute constant, your partner is sure to “overlook” your seemingly inconsistent states of mind. You can complement each other very well. How You Relate to a Partner with Venus in Gemini: Different needs in romance and partnership can be a source of fascinated attraction, and can also cause plenty of conflicts! Your partner’s desire for communication is strong, and you, too, want to connect with a partner. However, your lover places more value on mental stimulation while you value the power of understatement in romance. While your partner delights in having everything defined, you have a hard time making definite statements when it comes to matters of the heart. Both of you are kind, live-and-let-live sorts, and this quality will certainly help the partnership. You also share a certain measure of inconsistency and changeability when it comes to love. The main difference here is your needs in love. You rely on intuition, preferring to keep love on an emotional level. Cornering you for answers, definitions, or analyses of your partnership won’t get your lover very far—perhaps only frustrated! Your partner’s energy sometimes leaves you unsettled, while your elusiveness can be difficult for him or her to understand. Your partner’s playfulness may, at times, unnerve you, as you can be somewhat sensitive, although quite forgiving. What makes sense is to focus on the positive in your pairing—both of you are flexible, intelligent people who are capable of meeting each other’s needs as long as love and tolerance are in place. How You Relate to a Partner with Venus in Cancer: This can be a highly rewarding partnership featuring plenty of devotion and dreamy attachment. Mutual respect is likely, and some similar goals in partnership and romance are sure to strengthen the bond. Both of you value understatement and innocence in romance, and an emotional attachment is important to you both. Your partner wants to take care of the people he or she loves, offering them security along with love, and you are particularly receptive to this nurturing style. The biggest problem that might arise between you is the following fundamental difference between your love natures: your partner is more clannish, specific, and personal in his or her affections, while you incline toward universal love. The sensitivity you express doesn’t always make your lover feel special, as he or she sometimes may feel that you are in love with mankind in general, not just him or her! You may find that your partner tries to redirect your love into more focused channels. You may easily fall for the underdog, and your partner may feel that you are in need of a little directing in this respect. Your partner is also attracted to the needy, but he or she has met, in you, a soul who seems to be easily led astray, and he or she may spend some time trying to capture and tame this elusiveness that leaves him or her feeling a little disconcerted! If in fact you learn to understand and accept this basic difference in style, this partnership can certainly be a powerful one. It’s an especially warm, devoted, and nurturing combination, and the ties you make with each other are sure to be unforgettable. How You Relate to a Partner with Venus in Leo: We are mixing Fire with Water with this combination. 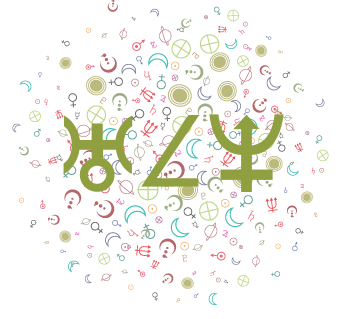 Your Venus in Leo partner is very direct and generous with his or her affections. You are probably just as generous, but your manner of expressing love is markedly different than that of your partner! 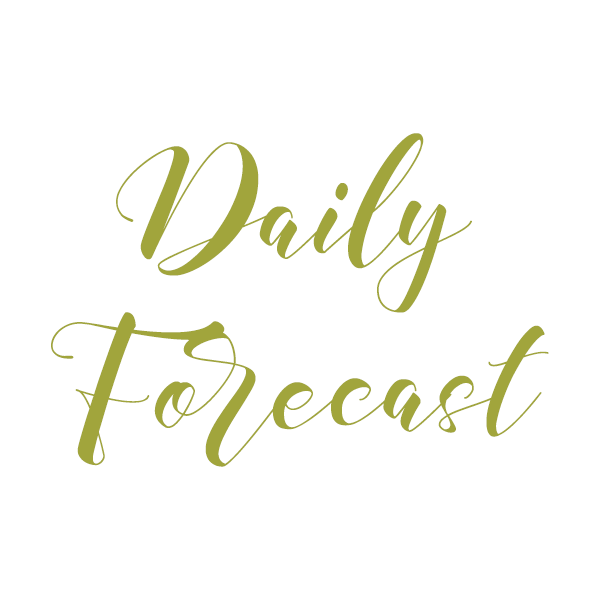 The challenge here is to accept these different styles of love, something that Venus in Leo has difficulty doing (Leo is a fixed sign, and flexibility in the love department doesn’t come easily to them). Both of you are incurable romantics. Your partner’s style, however, is personal, while your loving nature is less specific. You cannot quite call it impersonal, but “universal” may be the best term for your love nature. Your partner appreciates your warmth, but there is something about your approach, which is somewhat indirect and evasive, that seems a little threatening to your partner’s ego. To your lover, you seem to be so warm and affectionate, but they can’t help but sense that you love everyone that way, not just him or her. Your partner, more than anything, needs to feel special and unique in love, and it can be difficult to pin you down and get that specific attention that he or she craves (or demands!). You two probably share a love of drama, music, and the arts. Your partner is likely to be quite flattered by your sentimentality and dependency. However, when your lover is unhappy with you, he or she can easily become theatrical. You may even interpret your lover’s dramas as abusive, which can shock your partner because your lover considers his or her displays as honest and passionate. This apparent incompatibility is basically a difference in your styles of loving, as both of you are good-hearted. You are very sensitive in love, and can pick up all the subtleties of your partner’s emotions in a flash. Your partner prefers you to be direct and to the point with your wants. This relationship can be simultaneously fascinating and frustrating! As Leo and Pisces are two markedly different signs, conscious efforts to understand each other and to make adjustments are necessary in order for this relationship to be harmonious. How You Relate to a Partner with Venus in Virgo: This is a case of “opposites attract”, except that when signs are literally opposite in Astrology, they share a common thread that can bind them together. This is a magnetic combination. You sense in each other a common sensitivity, but you express your love in different ways altogether. The truth is that you have much to learn from each other. Relationships become challenging when the very qualities that attract you to one another in the first place become a source of friction later. Always remind yourself that your partner is just that—your partner, not an enemy. Your partner will appreciate your gentleness and sympathy, although he or she is apt to find you somewhat evasive at times. This is because while your partner is happy to define love, you prefer to leave some things unspoken. (You find it more romantic that way). Faith in love is something you can teach your Venus in Virgo partner, if he or she is open to it. Your partner can help ground you, reminding you that order in a partnership is helpful for establishing a sense of purpose, when done in moderation. Moderation, in fact, is the answer to establishing balance in your relationship, and with love and compassion, you will find it easier than most couples to work toward that goal. How You Relate to a Partner with Venus in Libra: This is one of the combinations of signs that requires a fair share of adjustment, simply because the love natures are quite different. However, both of you are gentle, caring folk in love and these qualities certainly give your relationship a boost. 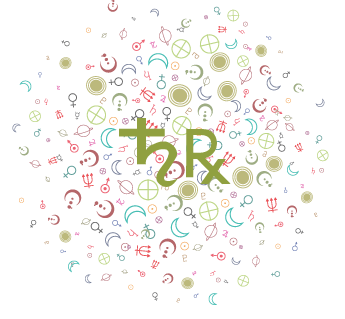 Although both of you are generally willing to adjust for, and accommodate, your partner, the sign of your partner’s love planet (Venus) is an Air sign, while yours is a Water sign. While your partner approaches relationship problems with an intellectual and reasonable attitude, you instinctively respond to problems emotionally. You are motivated most by feelings in relationships, and your partner is motivated most by thought. You need some space and solitude in order to work things out inside, while your partner’s first instinct is to talk things through. These kinds of issues are not insurmountable, however, especially when you are aware of each other’s unique set of values and needs. Although you will probably find that adjustments are necessary rather frequently, love and understanding can certainly make this partnership work. How You Relate to a Partner with Venus in Scorpio: The two of you have different Venus signs, but they both are Water signs. This suggests an overall understanding for each other. You sense in each other a similar kind of depth in your approach to relationships, which can be an instant bond in and of itself. You love intuitively and emotionally—you don’t use your mind to judge whether a person is good for you or not. You need to feel the connection. The same goes for your Venus in Scorpio partner. Your partner is more focused on an intimate and exclusive bond than you are. You love deeply and with your heart, but your partner might wonder just how exclusive your feelings are towards him or her. Your lover wants to get under your skin, and is not always thrilled to share you with the rest of the world, so when you are expressing your compassion for pretty much everyone that comes into your world, he or she may feel a tad threatened. Your partner needs to understand your love of mankind in general. He or she might worry that you stray too easily—and it’s not about you having an affair. It’s more a concern that you are too impressionable. Why worry about the rest of the world when you have him or her? That’s the kind of attitude you might expect from your partner, and this is probably your relationship’s biggest issue. Otherwise, the two of you find much in common. You will appreciate your partner’s intensity and depth of feeling. How You Relate to a Partner with Venus in Sagittarius: Both of you are inclined to look for the best in your partner, and this idealism can strengthen your bond. Your styles in love, however, can be radically different at times. While your partner is generally very direct about his or her needs in love, you don’t always know what your needs are! And, if you do, they can be hard to define. You are compassionate and intuitive, and need to “feel right” about issues in and surrounding love. Your partner’s emotions in love move much more quickly, and he or she may at times be impatient with his or her partner as a result. Your feelings in love are easily hurt, but your lover can have an attitude that truth and directness is the only way to go, and as a result, he or she may want you to toughen up. Both of you can be somewhat restless in love. This can express itself as a certain divine discontent on one end of the spectrum, or outright dissatisfaction on the other. Try to focus on the “here and now” with each other, and avoid the tendency to look beyond the partnership to fill up the holes in your relationship. Even better, accept that you cannot possibly fulfill each other’s every need, but at the same time, appreciate what each of you has to offer each other—and that is a lot! How You Relate to a Partner with Venus in Capricorn: You might be very drawn to your Venus in Capricorn partner’s aura of strength and conviction. Your partner exudes an air that he or she “has it together”, and this is very attractive to you, as you are not regimented in your feelings for others. Your partner, in turn, is likely to be intrigued with your kind and hospitable nature. You actually listen to what he or she has to say, and your willingness to adapt and accept can be extremely attractive to your more disciplined partner. If the both of you can appreciate each other’s differences in expressing love, this union can amount to a mutual admiration society. However, when the chips are down, these differences might cause challenges. You might find your partner too rigid in his or her expectations from your partnership, and your lover might easily find your dreamy love nature too ethereal. This combination is a mix of Water (Pisces) and Earth (Capricorn), which can be very fertile. You will be more able than most people to tap into Capricorn’s heart, seeing the warmth underneath the somewhat cool exterior. Your partner will appreciate your adaptability and your acceptance of his or her commitments to the partnership and to other areas of life as well. How You Relate to a Partner with Venus in Aquarius: This is an unusual combination. You might find that you both share a universal love of mankind, and that you are both very idealistic people. Your partner loves to brainstorm with a close friend and lover, and in you, he or she has found a completely fascinating brain to “pick”. At times, however, you might pull yourself from under the microscope, as you are certainly more sensitive and moody than your partner is when it comes to relationships. You will gladly go along with your lover’s wonderful visions and ideals, but you look for a connection that runs very deep. Although you will happily engage in conversation, and thoroughly enjoy your partner’s enthusiasm and vision, you value tender intimacy more than intellectual debate. Your partner might find you to be a tad too sensitive. You are more likely than most to be able to infuse your partner’s creative, inventive mind with just enough emotion, inspiration, and imagination to really take him or her places. Your lover, in turn, can help you tap into your own creative wells and do something real with what is pulled out. The two of you can make a very productive pair as long as you can effectively combine the worlds of thought and feelings. Neither of you wants to waste time arguing about petty things, and both of you want to see the best in each other. These attitudes will help smooth your relationship. 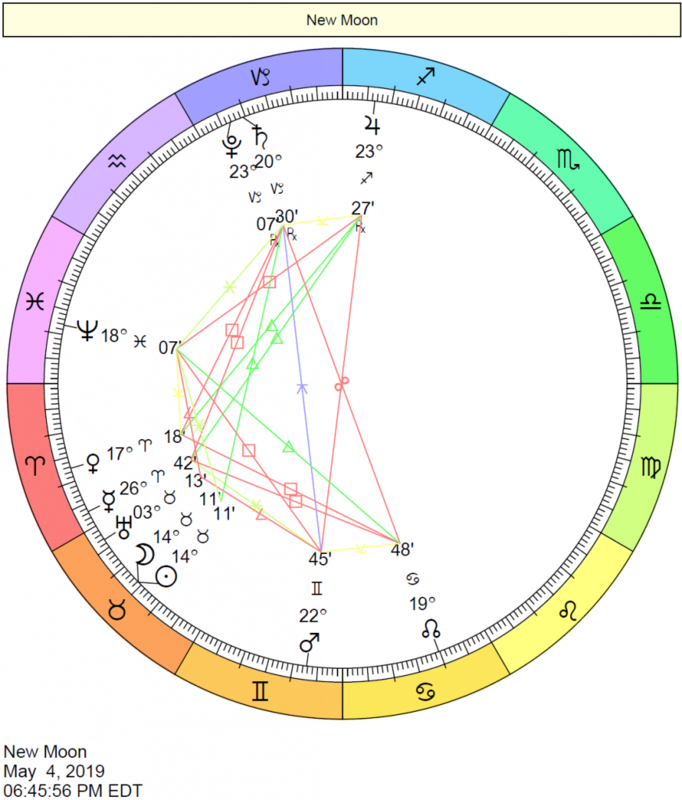 How You Relate to a Partner who also has Venus in Pisces: This is such a dreamy combination! You share Venus signs in the compassionate and tender sign of Pisces. No matter how different your personalities are, this Venus connection suggests similar needs from, and views of, partnership. Both of you are willing to adapt to the person you love, and offer each other tender affection. Both the strengths and the challenges lie in this underlying similarity. Each of you tends to need a partner who will do a little “directing” and “defining” in the relationship. Where are the boundaries? This is probably the main problem you will have with each other. You are both intuitive and not particularly practical when it comes to who, where, what, when, and how in love. You both thrive on a spiritual connection with your partner. You are likely to find it in each other, but you should also be mindful of some practicalities and realities in your partnership, or you may not be heading anywhere at all! However, this is a dreamy, romantic, and sweet union of two like-minded individuals. 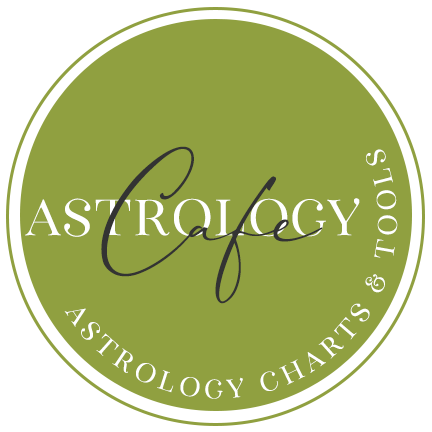 Ideally, elsewhere in your chart comparison, there are more stimulating and grounding connections between the two of you.